People often ask me how I come up with all the ideas for the Sarah´s Music programmes. Well, I keep my eyes open on all the classical music pages to see what I would find interesting and thank goodness the viewers seem to agree with me! 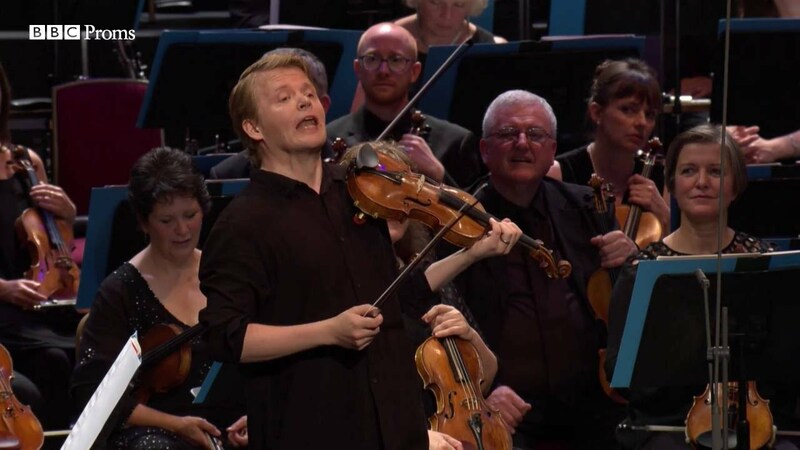 One night I was having a look to see what was going on in Berlin and I suddenly saw RED on the Boulez Saal´s Facebook feed… I immediately clicked to see more and was delighted to see that this project features the Finnish violinist Pekka Kuusisto, of whom I am a big fan. 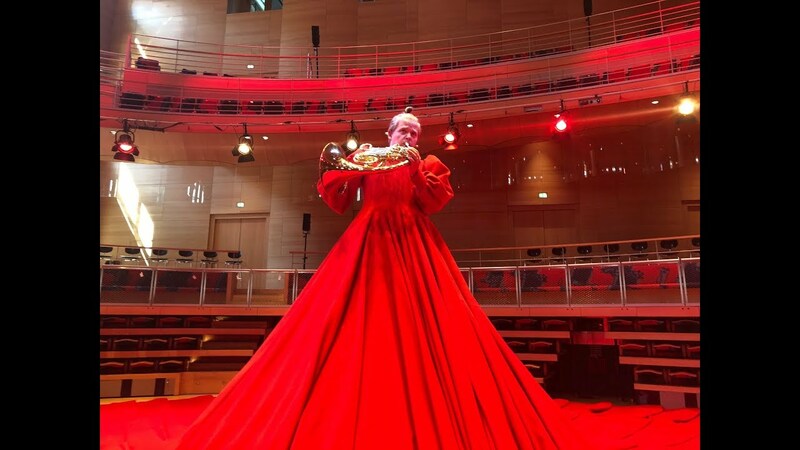 Pekka playing the violin in a red dress made of 550 metres of material in a fabulous concert hall – PERFECT for Sarah´s Music! Once again, a great technical team to work with, my Sarah´s Music favourites – Chris, Henning, Martin and Jeanne, welcoming sound man Kurosh to the team too, and we always love filming at the Boulez Saal. We definitely saw red that day – but in a good way! Pekka wins the prize for the most original Horn Challenge, wouldn´t you agree?